Author Jeff Chang. Photo by Jeremy Keith Villaluz. "The steps that artists are taking, it shifts the imagination of what can be. That makes a new politics possible." Jeff Chang‘s latest book, Who We Be: The Colorization of America (St. Martin’s Press), is a must-read for anyone interested in the future of the U.S. Even for the most knowledgable and well-versed in race, politics and culture, his book enlightens using storytelling and digging into history—a history that’s still mostly unknown and invisible. He weaves in individual stories of artists and cultural workers of color within the larger cultural and political landscape. In his own words, he brings up more questions than answers in the book, hoping to bring people together to spark dialogue. 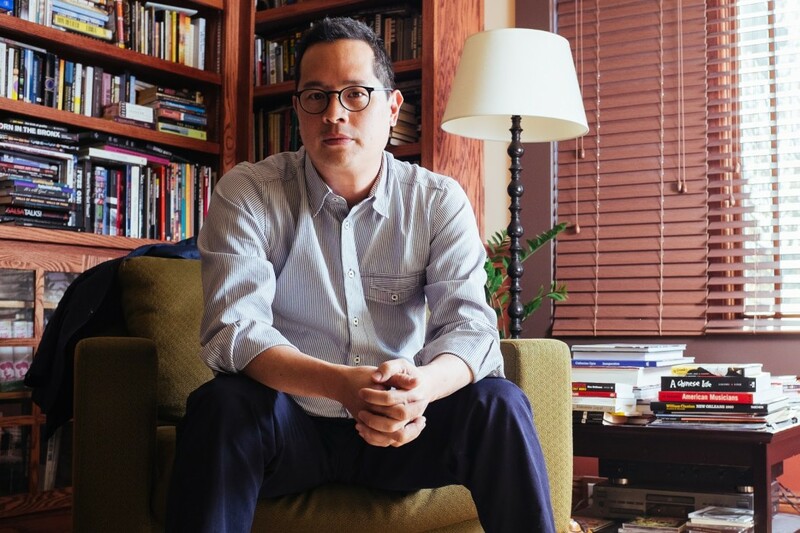 Chang is also the author of Can’t Stop Won’t Stop: A History of the Hip-Hop Generation, which won the American Book Award and the Asian American Literary Award. He is a founder of ColorLines and is working on a biography of Bruce Lee. Chang is the Executive Director of the Institute for Diversity in the Arts at Stanford University. I chatted with him about his upbringing, the role of culture in shifting political opinion, and his favorite Asian American documentaries. Maybe we can start by talking about your first book, Can’t Stop Won’t Stop: A History of the Hip-Hop Generation. How did you get into writing about hip-hop? I was like millions of other kids, somebody who grew up on hip-hop. I ran a hip-hop label [Solesides] for a little while with a bunch of friends from Davis, who’ve now gone on to huge things—DJ Shadow, and Lyrics Born and Blackalicious and Lateef the Truthspeaker. When that ended, I went back to writing about hip-hop and realized that there were a lot of stories to be told. I think part of it was, there was a little chip on my shoulder about the kinds of discussions I’d be having with elders about hip-hop and the importance of culture in movement building….It came from all of that. So the ending of Solesides, my return to writing, and just the desire to say, hey, here’s our story. I actually don’t know a lot about your background. I know you grew up in Hawaii. Are you Chinese American? Yeah, I’m Chinese and Native Hawaiian. Our family goes back a lot of generations, probably at least five on my mom’s side, four on my dad’s. I was born and raised in Honolulu, and came up to go to Cal and have now lived for more than half my life up here on the continent, mostly in California. And my kids have been raised here too. How do you think your personal background and your upbringing in Hawaii have informed your views on race and multiculturalism? Mm. Good question. I grew up in a family that has been in the islands for generations. I’ve always grown up around a large extended family that had intermarried with pretty much every race under the sun, and continues to do so. So, maybe in some ways I guess that’s sort of been kind of that model or the ideal in my head that, when I look at U.S. society, I’m putting it under the ideal of my family, I suppose. It’s not to say everybody always gets along, or that there aren’t tensions over resources and things that happened long ago. It’s to say that we’ve figured out how to work it out, and have the greatest parties (laughs). When I moved to the mainland, when I moved to the continent, within weeks of being in Berkeley, which I assumed, even at that time, was an incredibly progressive place to be, I experienced all kinds of microagressions I guess you would call them these days, right? People would remind me that I was a “chink.” That sort of set me on this longer journey to figure out who I was and what it all meant. I suppose, like everybody else, I think I’m still on that quest and on that journey. Students, hippies in the street, just random passersby, frat boys. All kinds of stuff. You’re just reminded in all these different kinds of terms, “Hey we don’t think of you as equal to us.” That was just part of every day, even in the Bay Area, even in Berkeley. That got me really angry, that spurred me to get involved in activism and anti-racist politics in particular. In this book, you argue that cultural changes that precede political changes. What are the major cultural shifts you’ve seen in recent years? We’re still trying to catch up with what the implications are for marriage quality, for instance. To give you an example, as soon as the tides shifted, you know, you would see all of these artists coming out who were like, “Oh yeah, this is what I believed in all along.” You’d see folks feeling a little more brave to be able to come out as artists and athletes and that kind of thing. It’s still ongoing. I was at a Dave Chappelle concert this past summer. And each of the comedians, including Dave, felt a need to comment on it. It was really profound to me to see, in particular Dave, who started off—if you watch his early like Def Comedy Jam type stuff—he started off doing the same kind of sexist and homophobic jokes that you would expect of your standard comedian at that particular time in the early 90s. He got up and delivered this masterful, just brilliant, just wonderful kind of set—it was about empathy really—it turned on his relationship to lesbian parents at his kids’ school. And you could just hear the audience just a sort of a big exhale. People were shouting. It was a night of laughter but also affirmation that politics can get better. That was one of the most profound moments I’ve seen in the arts happening in the last few years. So in the case of marriage equality, were there artists changing peoples’ minds through their art? Yeah, in the past, it’s been artists like James Baldwin and Langston Hughes and Audre Lorde and Alice Walker, and on and on and on, who raised these sorts of questions—Cherrie Moraga, Gloria Anzaldua—you know, what a world looks like that’s accepting of difference. And really paving the way, in so many respects. One of the slides we used to use is Ellen DeGeneres comes out something like 8 years before “Don’t Ask, Don’t Tell” gets repealed. And the parallel of course, is Jackie Robinson taking the field, something like 7 years before Brown v. Board of Education. You know, it gets into people’s imagination. The steps that artists are taking, it shifts the imagination of what can be. That makes a new politics possible. Let’s talk about the role of media—TV, film, documentary. What kind of role do you think media plays in politics and culture? It’s pretty much now inseparable. Media is like the ocean. It’s always changing, there’s tides that are shifting, they’re punching up against each other. It’s happening every second on Twitter, it’s happening every second on Facebook. It’s happening every second in terms of the types of media that people are creating, and creating against that media, and then creating against that. It’s all in this sort of ocean in which electoral politics has to play within that realm as well, you know? In that sense, we all become storytellers and we all have the power to become storytellers and to tell our own stories and make ourselves visible within that. So the kind of work that CAAM has been doing for years and years and years has always been kind of prophetic in that way. I think it’s really important for us to continue to support CAAM and other organizations that are about pushing forward these stories that don’t get a lot of light, don’t get often told, and that need to be heard. Because I think in the image world that we live in now, it’s always possible for us to go to sleep and feel like we’ve seen the world. Like, anything that we want to see, we feel like we have access to because of the ‘net, because of all of our technology. But in fact, there are all kinds of blind spots. We feel like we can hear all sorts of song or sound that we need to, but there are all kinds of silences. For me, I think the key to transform society is to listen to the silences and to look in the blind spots. And that’s basically where artists and those who work in the culture play. That’s our job, to expose those blind spots, to turn it up on the silences. So, are you a fan of films or documentaries? 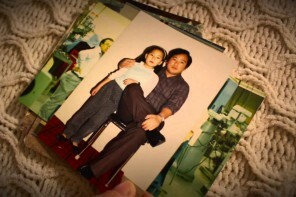 Do you have any favorite Asian American films or documentaries? That’s so hard! Where do you start with that? How do you even go with that? (laughs)….You know, a movie like Who Killed Vincent Chin? that we saw in college. That stuff was like, transformative. Is there anything else you want to add about your book? The book is sort of an attempt to understand how it is that, during the age of Obama, we can still have these raging cultural wars. The hope for reconciliation that everybody thought that might be ushered in with the election of Obama has instead gone completely in the opposite direction. And we really need to think about where we want to go as a country before 2042 [the year the US becomes majority-minority]. We’re so far off. It’s a book that’s more about questions than answers at this point. I would never claim to be an expert on anything. And I think I’m more interested in trying to encourage people to come together and say, “Hey, maybe these questions need to be asked broadly” in order to figure out how to a place in which we have a less segregated society, in which we have a more equal society for everybody. Main image: Author Jeff Chang. Photo by Jeremy Keith Villaluz.